Silly Snowmen Quilt Pattern from The Quilted Lizard. Easy applique design by Karen Eckmeier. 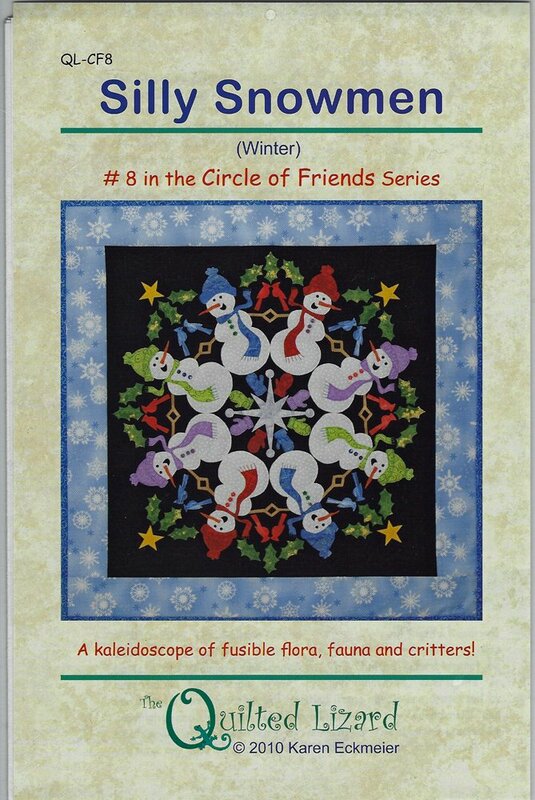 Give your winter months a splash of color with this gathering of cardinals, blue jays, holly leaves, and snowmen that form a giant snowflake.Simple straight-stitch applique is done at the quilting stage. Finished size 25" x 25". Great as a wall hanging or table topper!